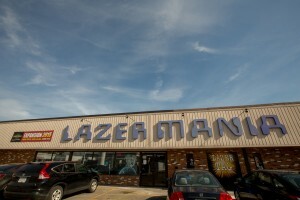 Join the excitement at Lazer Mania! From children’s birthdays to a corporate team building event – Lazer Mania is perfect for all occasions! Step into a real life video game! 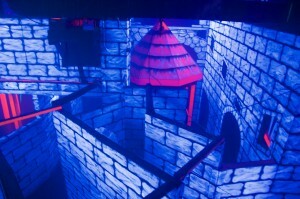 Lazer Mania is the world’s most advanced laser game entertainment system. The maze arena features multiple levels, ramps, visible laser beams & it is jam packed with adventure and fun! Everyone can be a laser fan! 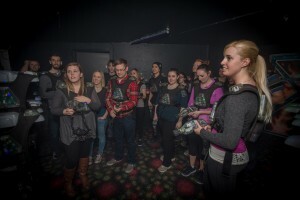 Laser tag is perfect for both small and large groups. Suitable for ages five plus, the arena can host over 40 players and three teams can play at one time! Perfect for families, corporate, school and group outings (group rates and packages available). The equipment is one-size-fits-all, each player is provided with a phaser and computerised vest. Each vest has a unique name or ID so you can identify your team mates. Each player is thoroughly briefed on the rules and strategies of the game. Your objective is to deactivate the opposing players and their base with the use of your phaser, as a sophisticated computer program tallies your individual and team scores. The team that accumulates the most points wins. At the end of the game, players are led out of the arena and are awarded their personal score sheets. 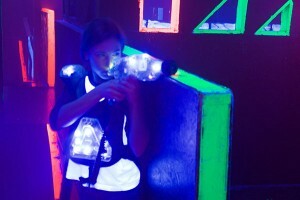 Laser Tag is an unbelievable indoor adventure, thoroughly enjoyable and adrenaline pumping. 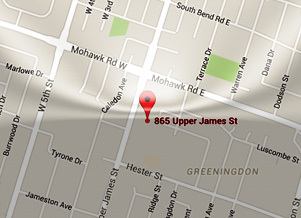 Book your Laser experience today.